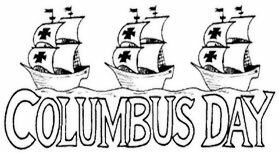 Columbus Day is The Second Monday in October. 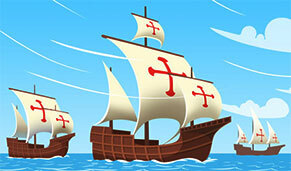 Below are clipart and jpeg images concerning the life and times of Christopher Columbus. You may use these images in your personal and educational projects. 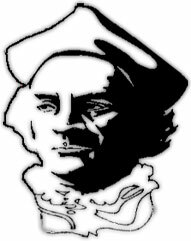 Christopher Columbus portrait in black and white. 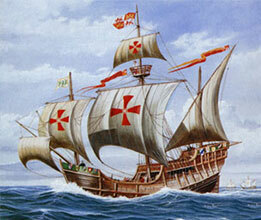 The Ships of Columbus on the high seas. 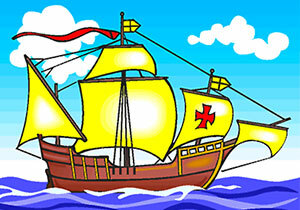 The Niña, Pinta and Santa Maria Clipart. 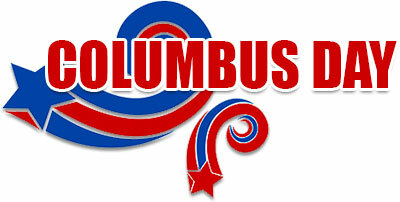 Columbus Day with red and blue stars. Columbus Day with glitter and stars. 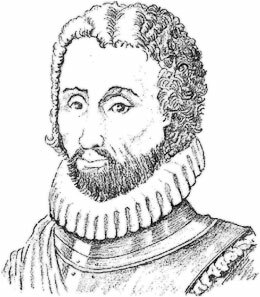 Giving thanks in the new world. 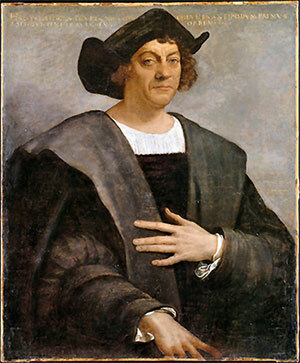 "Portrait of a Man, Said to be Christopher Columbus" - 1519. 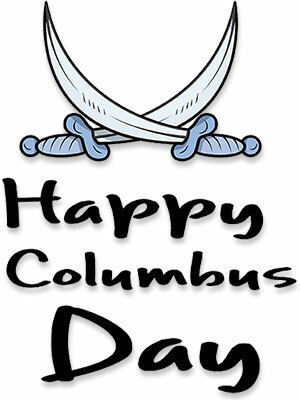 Columbus Day sign in red, white and blue. 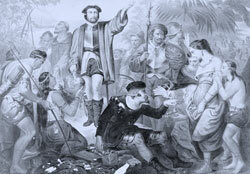 Christopher Columbus takes first steps in the new world. 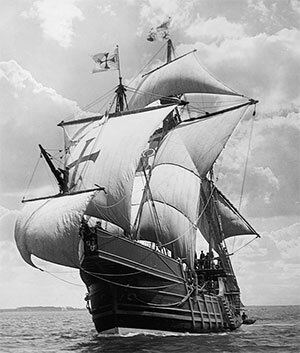 The Niña, Pinta and Santa María under full sail. 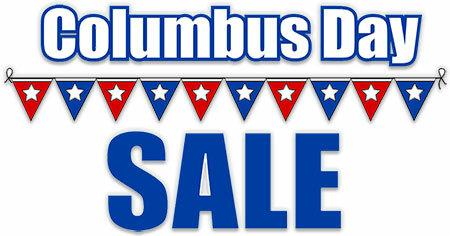 Columbus Day Sale just in case you would like to sale something. Columbus Day sale sign with the Niña at full sail. Niña, Pinta and Santa Maria full sail. 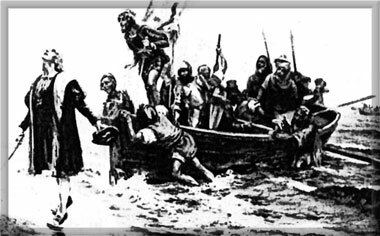 The Santa Maria on rough seas. 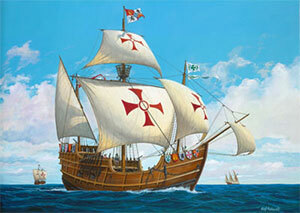 Columbus's ship full sail and high seas. 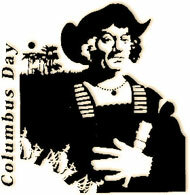 Happy Columbus Day with glitter animation. Santa Maria under full sail with strong wind. 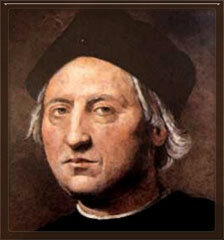 Christopher Columbus Portrait color in dark frame. 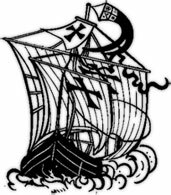 Sale emblem with the Santa Maria and a little animation. 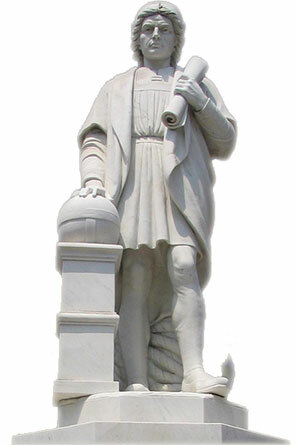 Statue of Christopher Columbus located in The City of Baltimore, Maryland. Columbus sailing on the ocean blue. 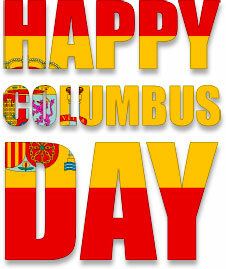 Happy Columbus Day with Spanish flag overlay. 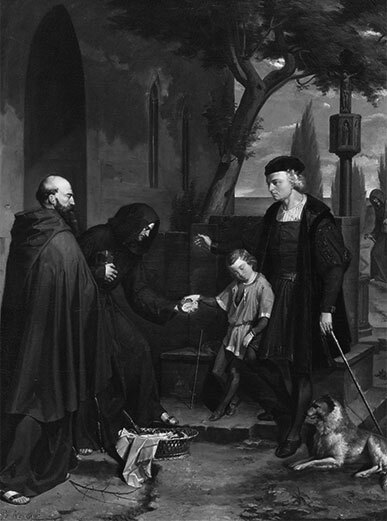 Christopher Columbus and his son Diego. 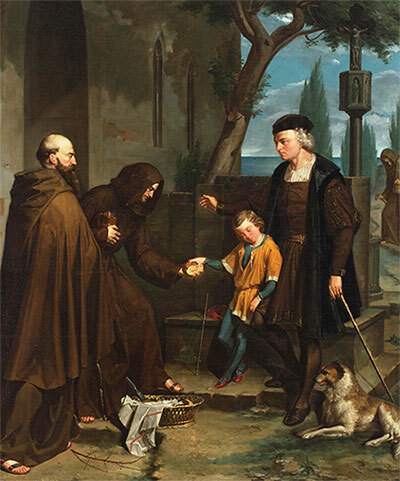 Painting by Benito Mercade y Fabregas in 1858. 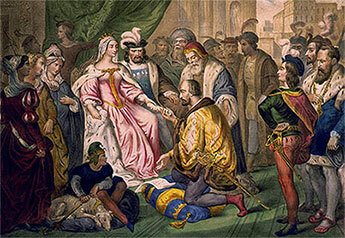 Born c.1451 in Genoa, Liguria and Died 20 May 1506 in Valladolid, Spain. 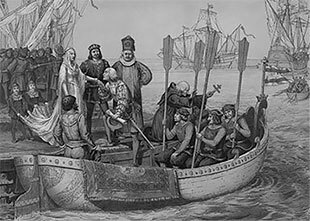 Occupation - Maritime Explorer for the Crown of Castile. Titles - Admiral of the Ocean Sea - Viceroy and Governor of the Indies. 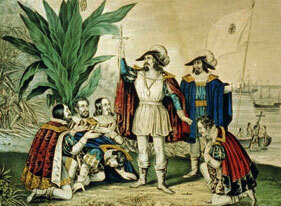 Columbus's religion was Roman Catholic.